So we are big on the award shows here! I mean, really in to them! Tonight is the biggest one of all. The Academy Awards!!! We try to make it to see all of the nominated films, if not all as many as possible. I didn't make it to see all of them this year, but I did see a good amount. 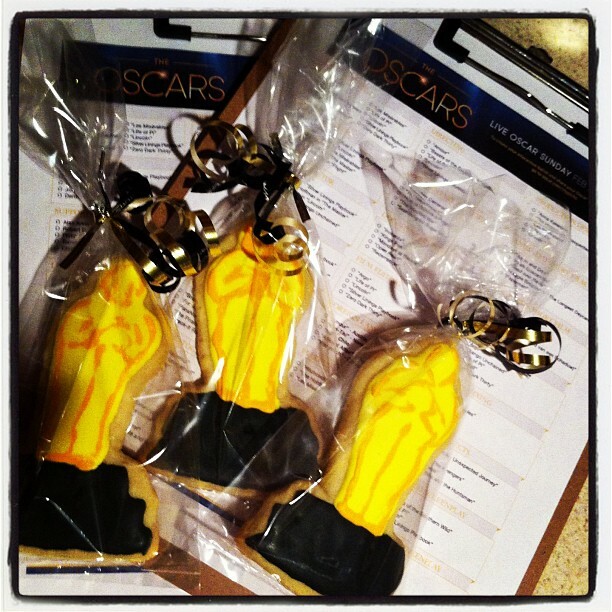 I printed out our ballots, had special cookies made, and we always have a nice fancy dinner. 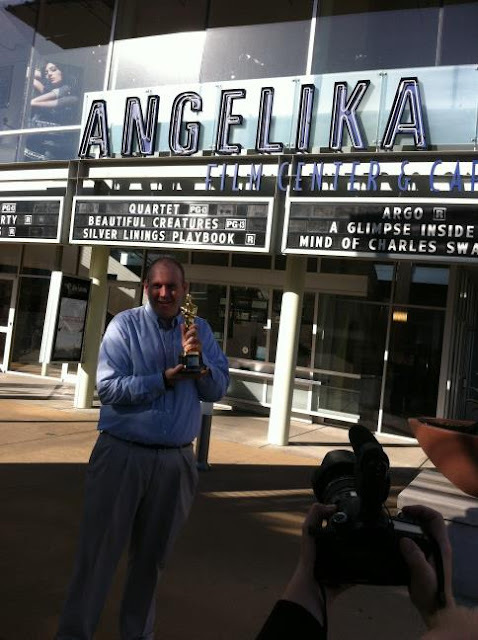 My husband was even able to have his photo taken with an real, authentic Academy Award that will be handed out tonight! The award was Oscar number 3111 and made it's Dallas debut on February 18 during a 3 week cross country tour. Cookies were created by Kimberly and Loren's Sweet Treats.